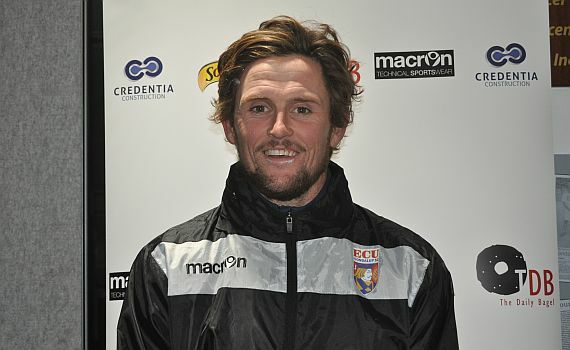 After helping ECU Joondalup under 20’s to the title as assistant to Mark Scanlan, Jon Higgins has taken over as Head Coach for 2019, after Scanlan stood aside to become the clubs NPL Technical Director of Football. Higgins, who had trials at Birmingham City as a youngster, and played several years for the Jacks first team in the Premier League, is looking forward to the new challenge. “It’s all fallen into place quite easily which has been good,” he said. “To be honest last year I didn’t realise just how much I would enjoy my involvement with the 20s. I mean when you have a bit of success and a great bunch of players it makes things a lot easier. Really Looking forward to the different type of challenges we will face this year. Scanlan believes Higgins well do a great job next season. “Jon has taken to coaching like a duck to water, he has the insight and experience to mentor our young players, he has an eye for detail and demands high standards in everything,” he said. It has been a huge few months for the 32-year-old, not only did he celebrate winning the under 20’s NPLWA title, he became a dad for the first time when he and wife Piper brought Reggie into the world, and Higgins said both mum and bub are doing well. “Reggie is two and a half months old now and going good. Rolling a ball to his left foot already but not getting much back at the moment,” he joked. 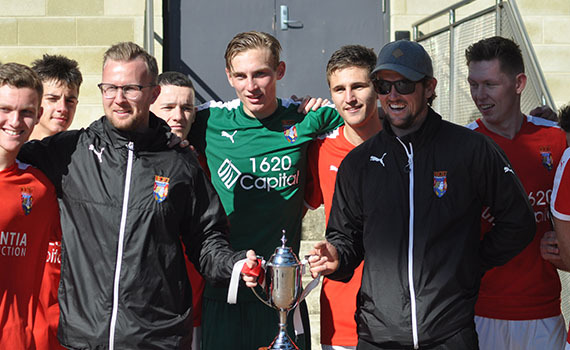 Higgins (Left Celebrating their league title win last season) said the 20’s want to continue with their success and have added some good players to the squad. But knows other clubs will be looking to knock them off their perch, but he said they are ready for the challenge. “Yes, with all the talk with in the group of the great year they had, I still believe we under achieved,” he said. “We got knocked out the cup and lost the top four which just didn’t seem to go our way on the day. I mentioned to the lads in the change room after losing the top four that the culture they have created is what’s going to make us more successful this year. There’s a good core of the playing group already in the gym down at the club on their own merits, which is fantastic to hear.